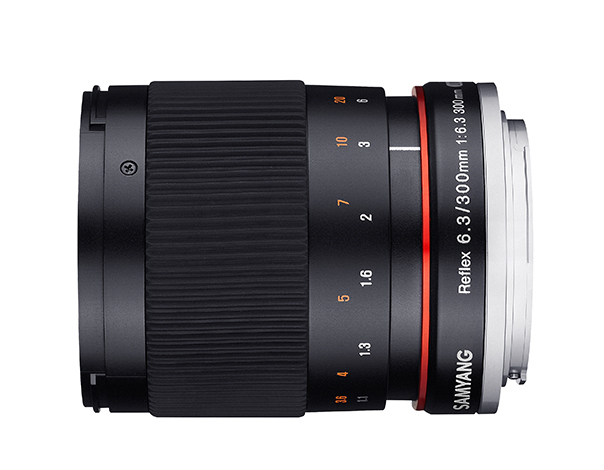 Samyang 300mm F6.3 UMC CS is a compact reflex mirror lens suitable for wildlife and landscape photography and astrophotography. It is available for both DSLR and mirrorless cameras with APS-C sensors. 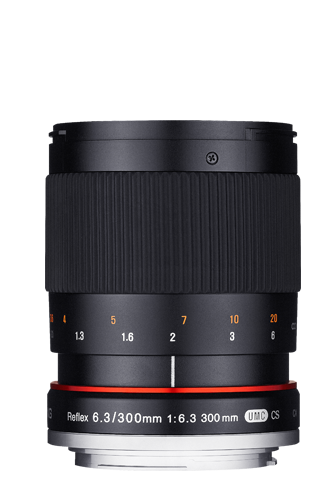 The lens for DSLR cameras works with Canon EOS, Nikon, Sony ∝, and Four Thirds while the lens for mirrorless cameras works for Sony E, Fujifilm X, MFT and Canon M. Optical construction features 8 lenses in 8 groups providing exceptional image quality and contrast by reducing color aberration. Ultra Multi Coating (UMC) helps reducing ghosting and flare as much as possible. 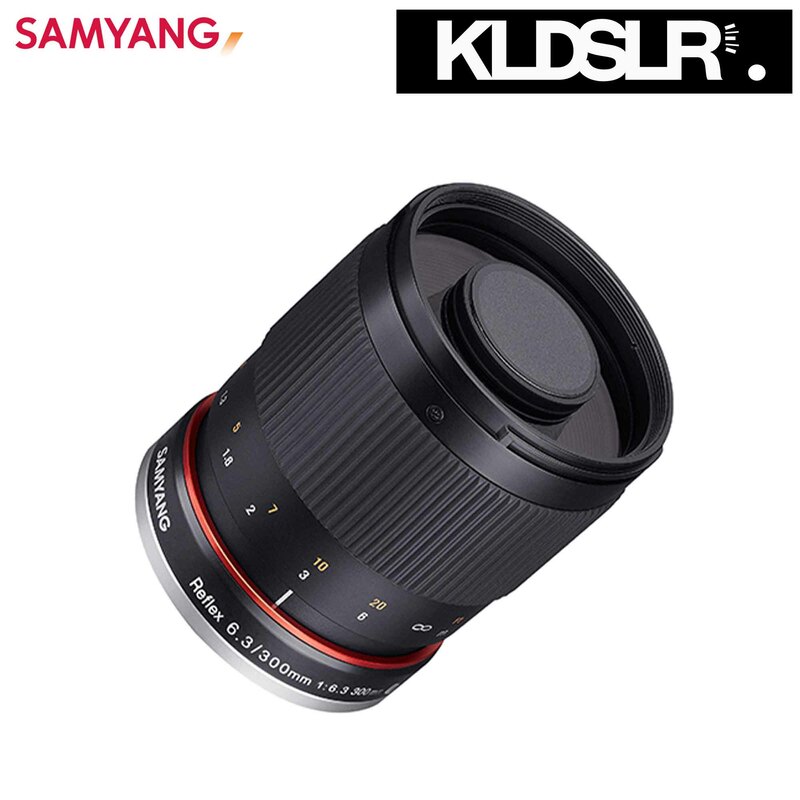 This lens is a manual lens with smooth manual focusing. 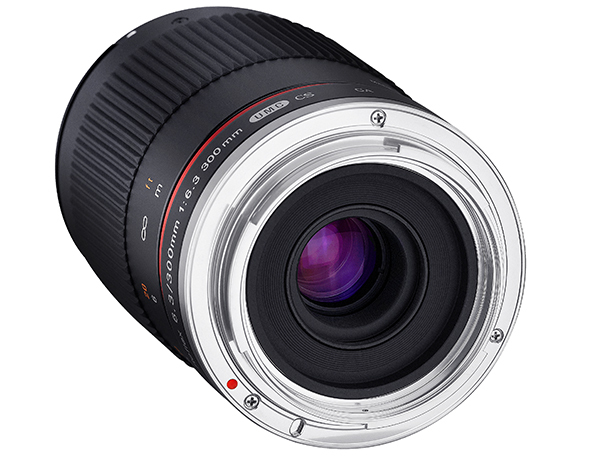 Due to the long focal length, it is recommended to focus with live-view to achieve accurate focus. As with all long telephoto lenses a combination of sturdy camera support, substantial tripod, good technique, fast shutter speed, use of remote, and mirror lock up are recommended to avoid camera shake to achieve the best results. 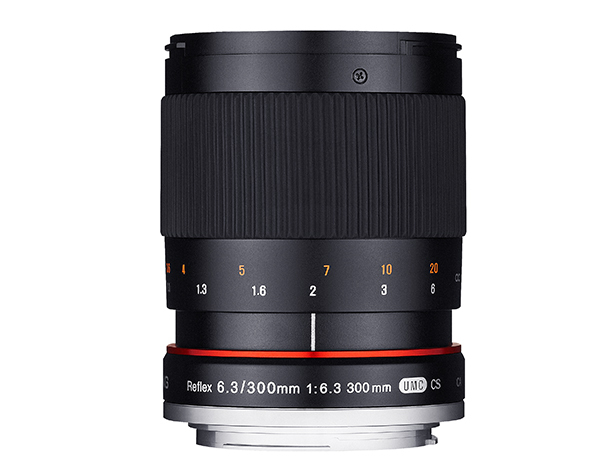 You may choose this lens according to your camera type - mirrorless or DSLR camera. It comes with 2 colors such as black and silver. Filter diameter is 58mm in front and 25.5mm for rear. 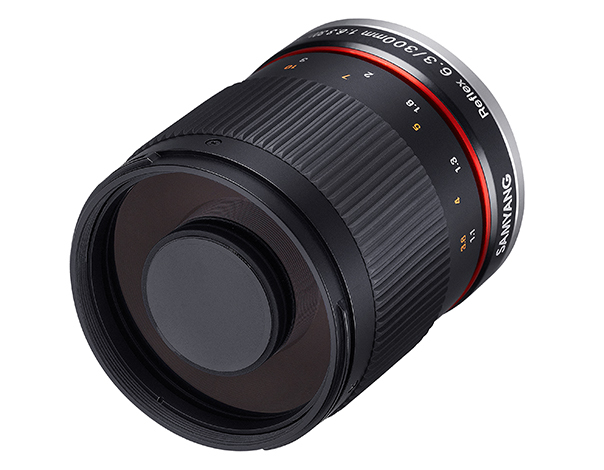 Supplied with front and rear lens caps, and lens hood.